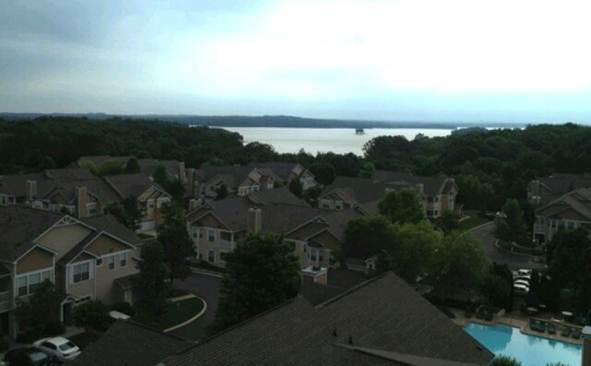 On August 21, 2012 Venterra purchased The Hamptons at Woodland Pointe in Nashville, Tennessee (“Music City”) located in the Hermitage/Donelson submarket, one of Nashville’s top submarkets. It is a 240-unit apartment community that was built in 2002 and features amenities such as: a resort style pool with cabana, surround sound movie theatre with stadium seating, business center with Internet café, state-of-the-art fitness center, car wash, bark park, executive conference room, outdoor grills and newly renovated clubhouse. The Hamptons was built as a “Big House” apartment community, which has spacious units and a single family home look and feel as opposed to a traditional apartment complex with interior breezeways. The average unit size is 1,096 square feet. Additionally, 120 units or 50% of the units have an attached garage which is a higher percentage of units with attached garages than any other apartment community in metropolitan Nashville. The Property’s main draw for residents is its location which is very attractive from a number of perspectives. The Hamptons is in close proximity to Nashville’s major employers and is within walking distance to J. Percy Priest Lake. J. Percy Priest Lake is the largest lake in the Nashville area covering over 14,000 acres, and provides varied recreational opportunities for residents of The Hamptons. The Hamptons is also only about 12 minutes from Downtown Nashville, about five miles from the Summit Medical Center and only 2.5 miles from Argosy University and The Art Institute of Tennessee. Opryland and Opry Mills Mall are approximately seven miles away from The Hamptons. It has been 5 years since our last acquisition in Nashville. This acquisition brings the total number of Venterra properties under management to 50, and pushes us over the 14,000 unit benchmark, both significant accomplishments for our company.